My business is "small", but I have a big vision: delivering creative, collectible gifts to all corners of America! In fact, I have sold to Switzerland, China, Australia, United Kingdoms, and Brazil. 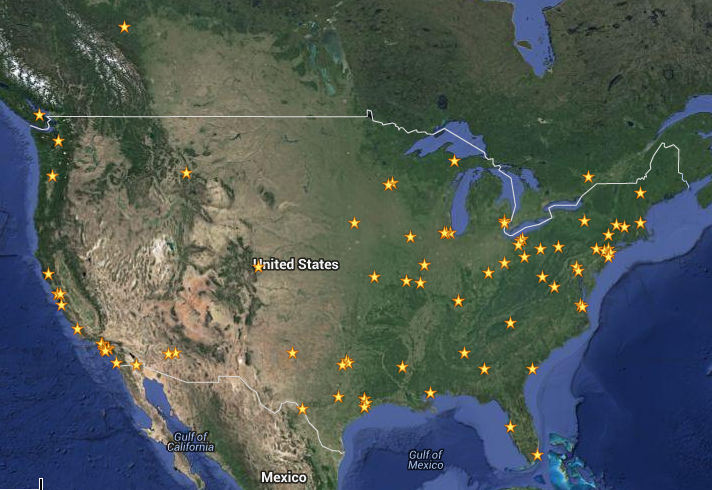 And managed to sprinkle the US in the post holiday season too. My store has a one-person army. That means, I have no employee to do marketing nor the budget. Being a diligent armchair economist, I experimented with Facebook Advertisement. It can burn through $300 dollars a month without any conversions (to my shopify store), even though it gave me 300+ fans and likes on my page which never went away (surprisingly). The key is to send jots of traffics to the website and waiting to generate viral content. Most of us, unfortunately do not have the talent nor the timing to crank out viral contents, so it is important to "espresso" your site traffic often. And twitter is perfect for that job. This section is simple: be the champion of your product. For me it is so easy: I am selling only things that I would consume. They are all unique, creative gifts and gadgets, meaning they have niche consumers. Be able to explain to them the pluses and minuses in incredible details and showcase of knowledge have converted a lot of customers for me. If you know me in person, you know that I love gamification. I record every milestone I hit and rejoice, and really take time to understand my achievements and celebrate them. 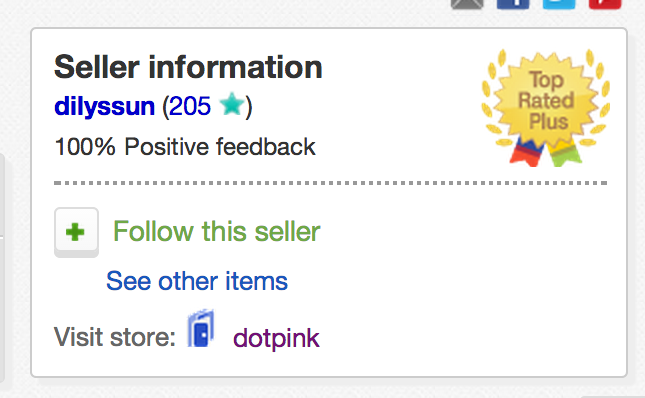 I achieved ebay statuses in a very short cycle, compared to traditional sellers. Yet when I first started many friends jeered at my $5 dollar products, and possibly the least glamorous startup coming of a Stanford graduate. But I was having so much fun with the gamified system, selling products that I love and making a great "eBay come back" in the tech era. 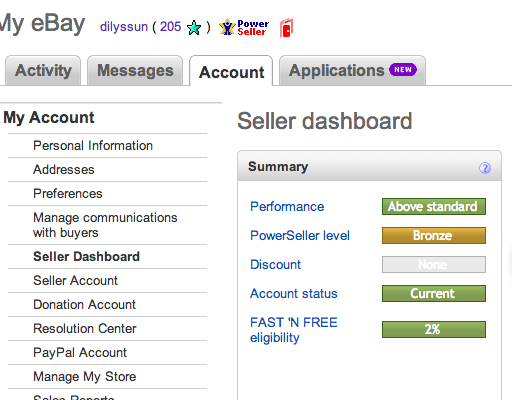 When eBay transformed into a new UI and design, I am right there. Every channel has a "personality". eBay has a great customer base, people who like looking for deals, auctions, Amazonians look for books, electronics, Shopify people seek unique personalized experiences, and Square will go for indie, designer, modern touches ... a true e-Commerce guerrilla warrior like me will seek out the best channels for the products. For example, if you google "giant animal eraser" three of the top 5 images are mine : ) That's some great SEO from Shopify.com, despite that sales volume is very low. As a new e-commerce warrior, you may want to run some test about what sells in what channels. Shopify is an easy website builder to help grow your business. An actionable dashboard of your sales, orders, and traffic helps you make the right choices for your business. You should have insightful reports on your shopify store so you can analyze and gain insight into your products and orders. Track sales and growth trends. We start our online business on eBay too, but after few years we understood significance of our own website. There was a hard way between few web development studios before we found http://www.nixsolutions.com/services/web-development-services/ecommenrce/. eCommerce gives us big opportunities for business in modern world and eBay is a great platform for novices, because u need money only for marketing.